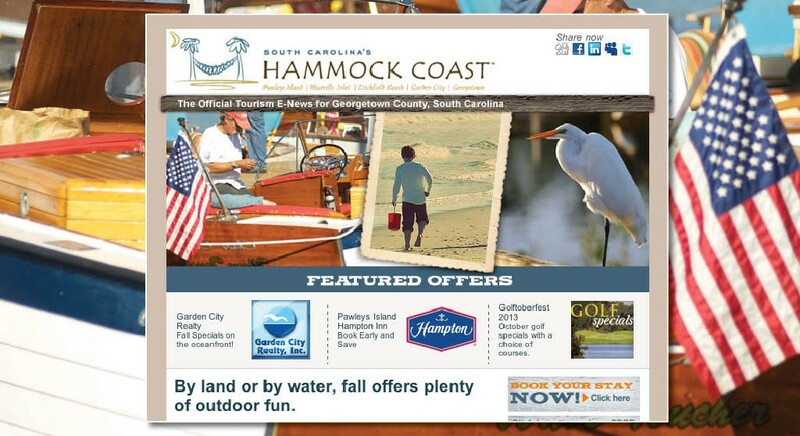 Our engagement with the Georgetown County, South Carolina Convention and Visitors Bureau — now known as the Hammock Coast —started small but has expanded progressively based on our common passion for continued testing and proof of performance. The components of our online campaign now include lead generation, email management, contextual display advertising, and search marketing. 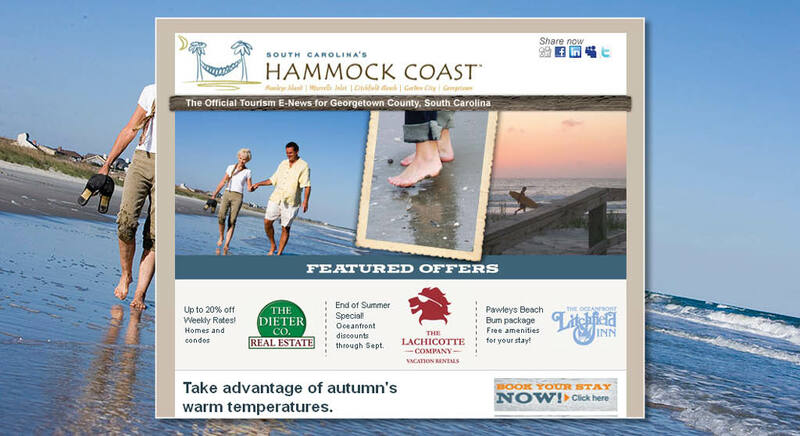 In addition to placing display ads on relevant pages across themes such as golf and lodging, we’ve worked to retarget recent site visitors as well as place Georgetown County messages on competitor content pages. Starting with fewer than 5,000, the email database now includes more than 132,000 recipients to whom more than seven million emails have been delivered. 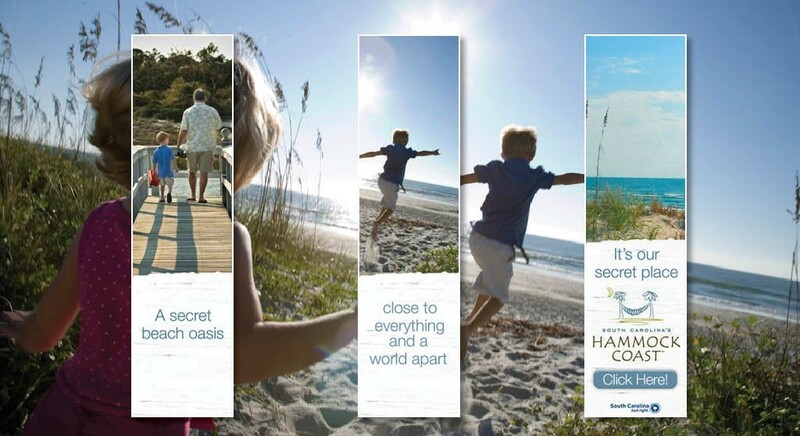 Based on incremental visitor spending, ROI is measured at 53 to 1, with subscribers accounting for 116,000 nights of paid lodging.